Dear Prudence Shop (2912 Corrine Drive, Orlando), one of the shops that has made the Audubon Park Garden District what it is today, turns fifteen-years-old this month. Shop owners Liz and Dave Kazyk are celebrating this fifteenth anniversary with a birthday bash Saturday January 17, from 10 a.m. to 6 p.m. They’ll be offering local light bites, an appropriate 15% off everything in the store (excluding consignment or sale items) and 50% off all sterling silver jewelry. I hope you will come in on Saturday to say hello and offer your best wishes to the Kazyk’s, as they are partially responsible for turning this area into the vibrant place it is today. It all goes back to 1999/2000 when Stardust and Dear Prudence Shop both moved in, followed by Park Ave CDs. 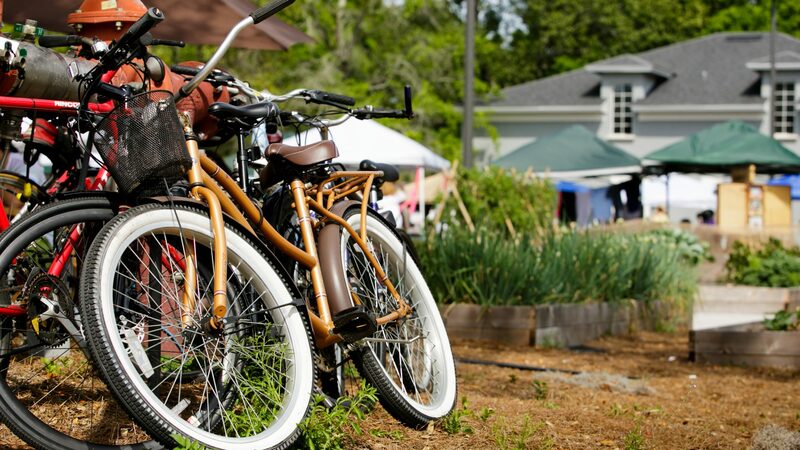 This energy and creativity spurred Emily Rankin (now of Local Roots inside East End Market) to get volunteers together to help launch the Audubon Park Garden District Main Street program. And here we are today, exploding with energy and engagement, on our way to becoming an Eco District, and in the national media – New York Times, Southern Living Magazine, Atlanta Magazine, Chicago Tribune, Food Network, as well as recognition from the local media, including the Orlando Sentinel and the Orlando Weekly. But long before the current hoopla, they’ve been here – quietly supporting our community efforts with time and money and commitment, and I think it would mean a lot if everyone came by to say hello and thanks.